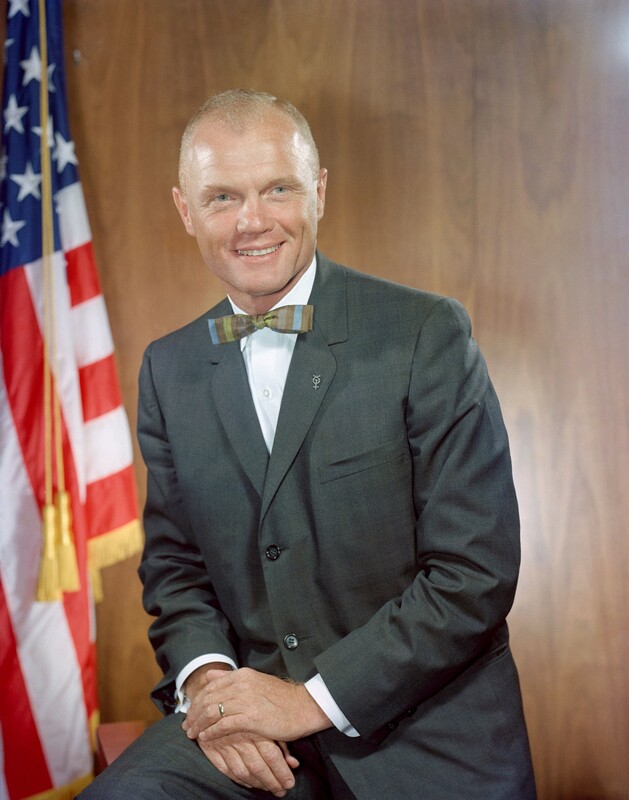 It is with great sadness that we in the East Muskingum School District acknowledge the passing of Senator John H. Glenn. 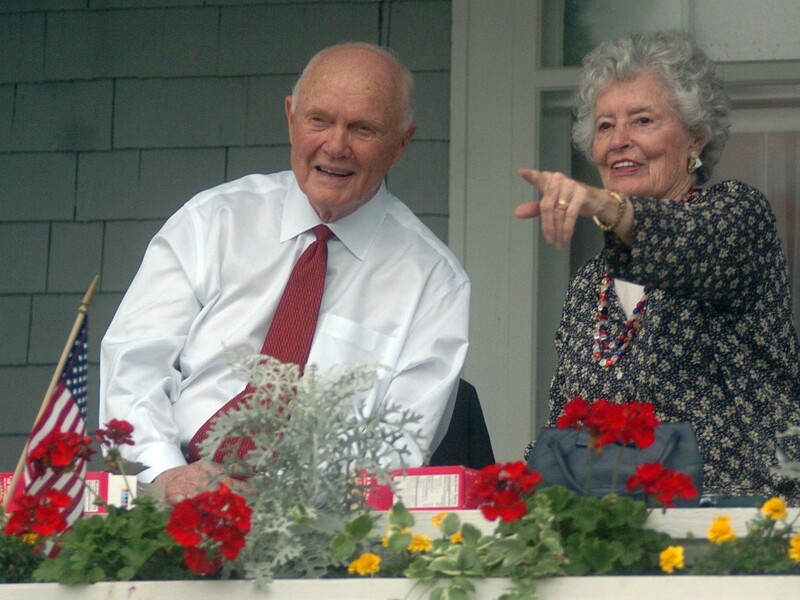 Senator Glenn grew up in our schools, graduating from New Concord High School in 1939. He was like so many youngsters growing up in our small town; he enjoyed the friendships made with his classmates through his involvement in his school. And living here he learned the values that were instilled by not only his parents, but by the entire community. He took those values with him as he began his career as a college student at Muskingum just over the hill from his high school. 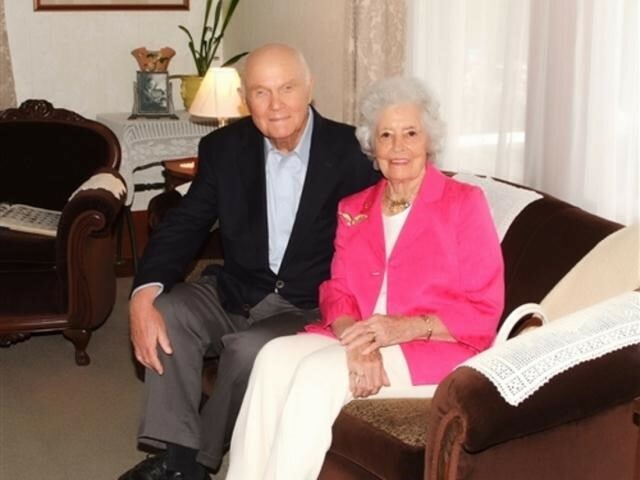 He took those values into his marriage with his high school sweetheart and love of his life, Annie Castor. 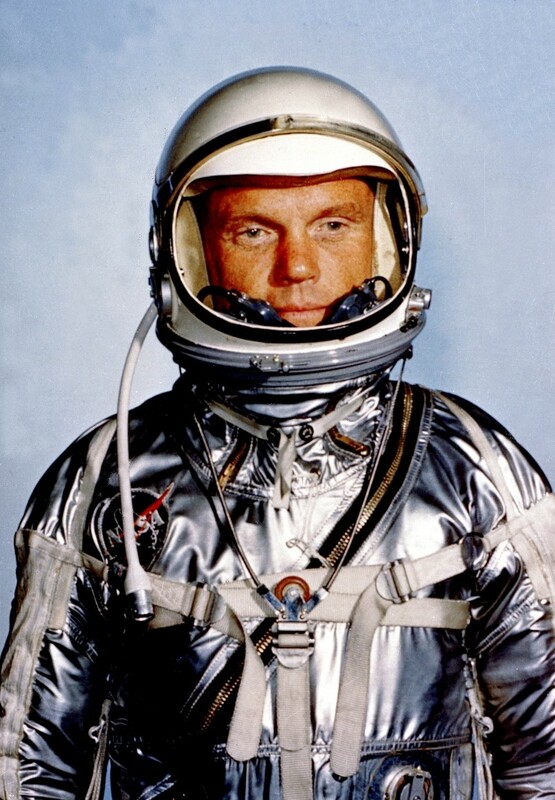 He took those values with him as he embarked on a life of service in the military, as an astronaut, and as a public servant in the United States Congress. He embodied those values throughout his life. Senator Glenn often remembered one of his favorite teachers, Mr. Harford Steele, who taught him civics and government. 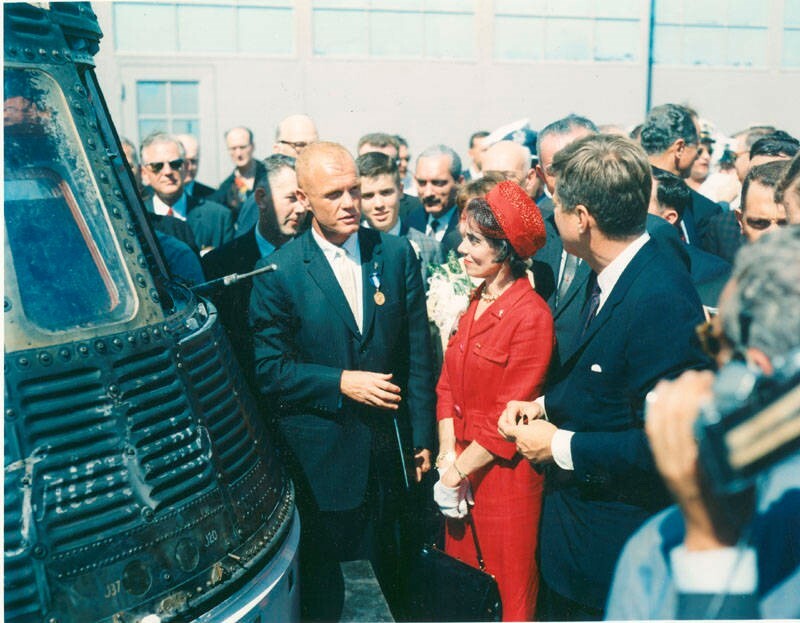 Mr. Steele challenged his young student, and that desire to learn and serve his country stayed with John Glenn for 70-plus years. 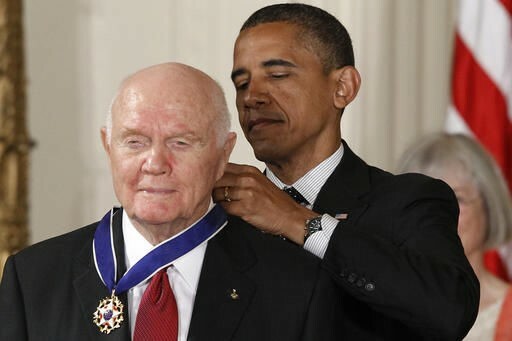 As a young man, he served his country during World War II where he flew combat missions in the Pacific. Later, he served as a pilot during the Korean conflict. 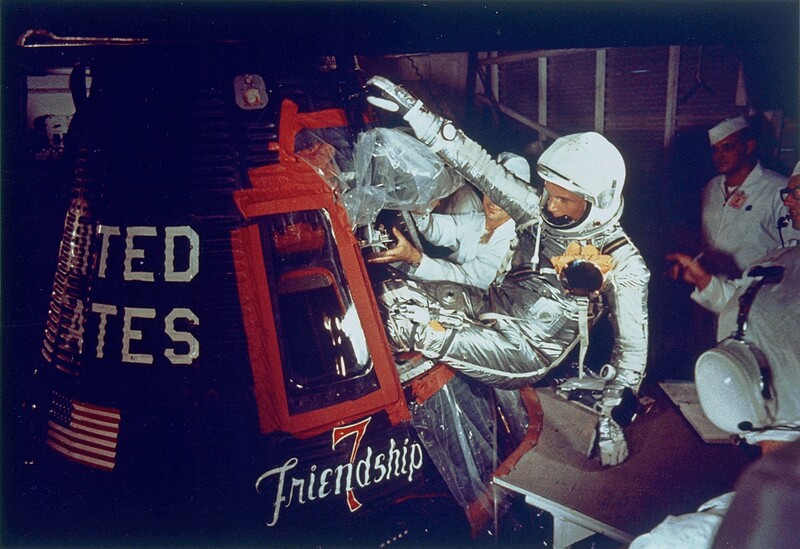 His flying days continued and earned him recognition which led to his selection as one of the Mercury 7 Astronauts. While all of the world watched the skies on February 20, 1962, those in New Concord prayed for the safe return of their hometown hero. 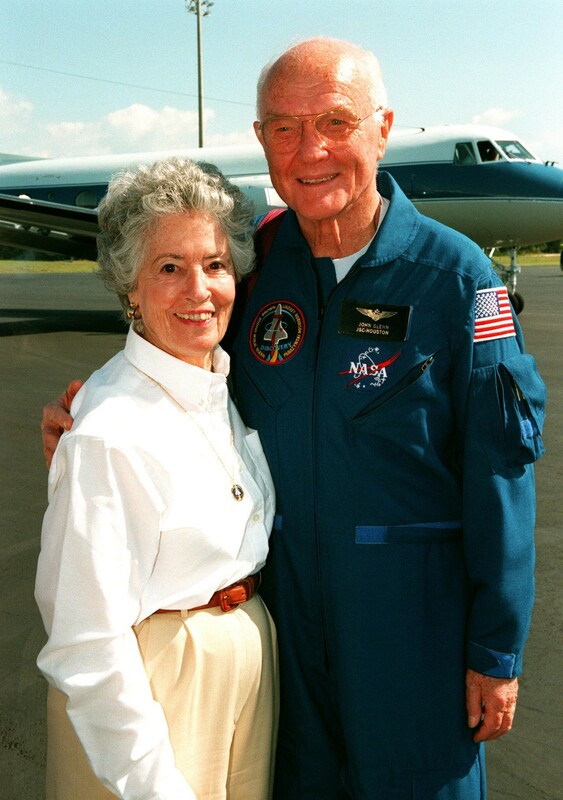 His courage and values meant a lot to all of us, and during that flight he became a hero to the world. 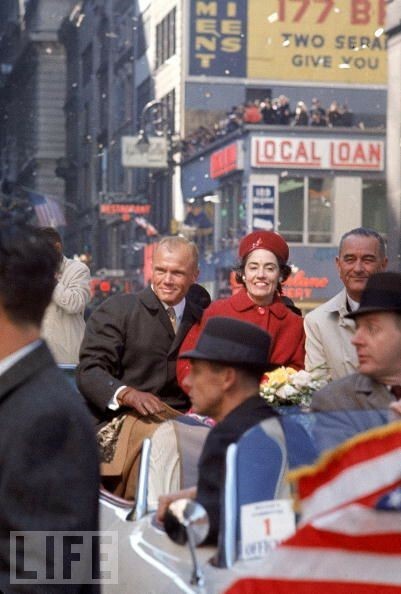 Senator Glenn was inspired to serve his country as a member of Congress, which he did for four terms. In 1984, he even announced his desire to seek the office of President of the United States in the New Concord high school named in his honor back in 1962. 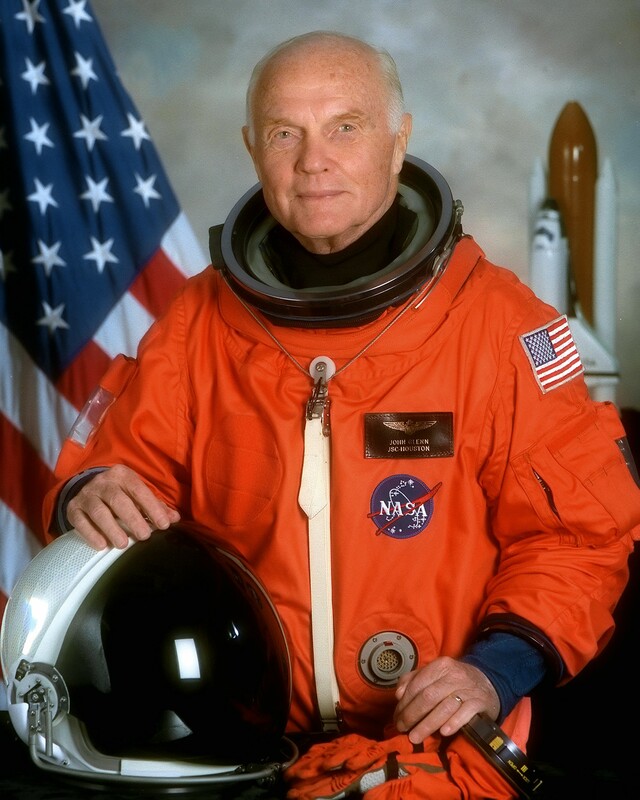 On October 29, 1998, Senator Glenn once more returned to space on the space shuttle Discovery when he flew on a 9-day mission as the oldest astronaut. 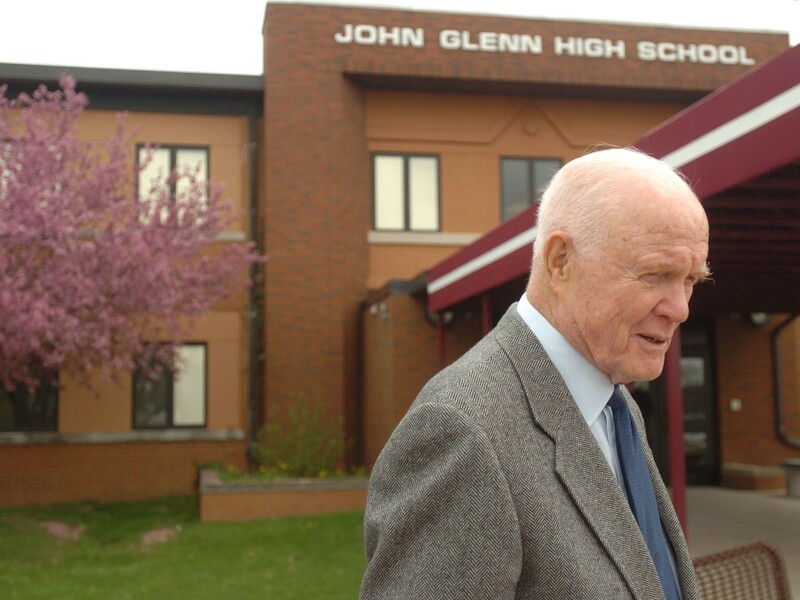 When he returned to John Glenn High School following this mission, Senator Glenn explained to the students what it was like to be in space. He wanted them to feel the beauty that he saw above the Earth’s atmosphere. He said often and not just during that assembly, “To look at this kind of creation out here and not believe in God is impossible.” That statement alone makes us realize that our hero maintained his values throughout his life. He loved God, and he loved learning, and he loved serving others. Those were themes that he expressed whenever he spoke to young people in New Concord. We know he wanted the best for the young people throughout our country. He believed in education. 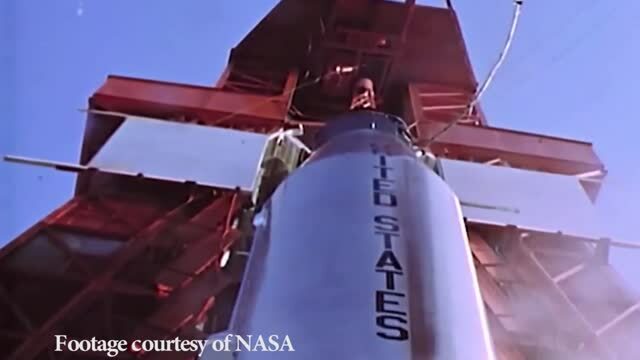 “The most important thing we can do is inspire young minds and to advance the kind of science, math and technology education that will help youngsters take us to the next phase of space travel,” he once said. 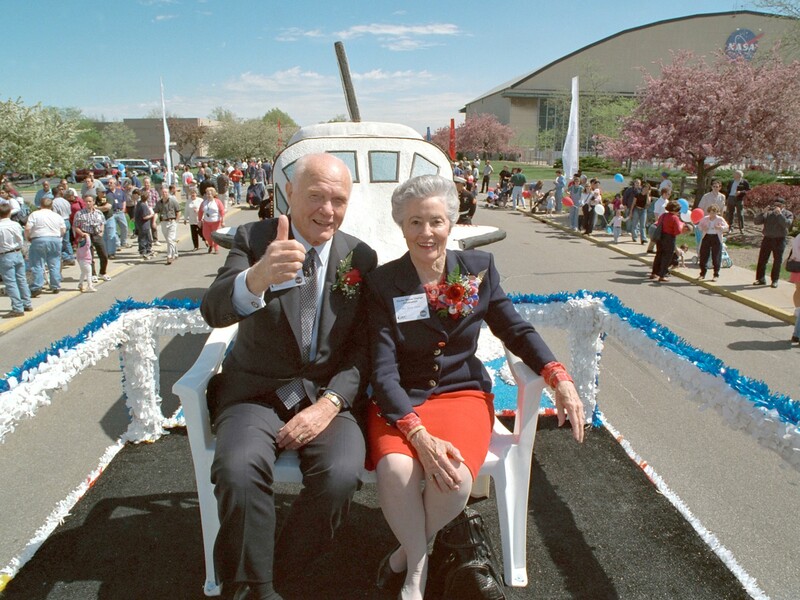 Senator Glenn also encouraged young people to be good citizens and develop leadership through the John Glenn College of Public Affairs at The Ohio State University. This became his mission.